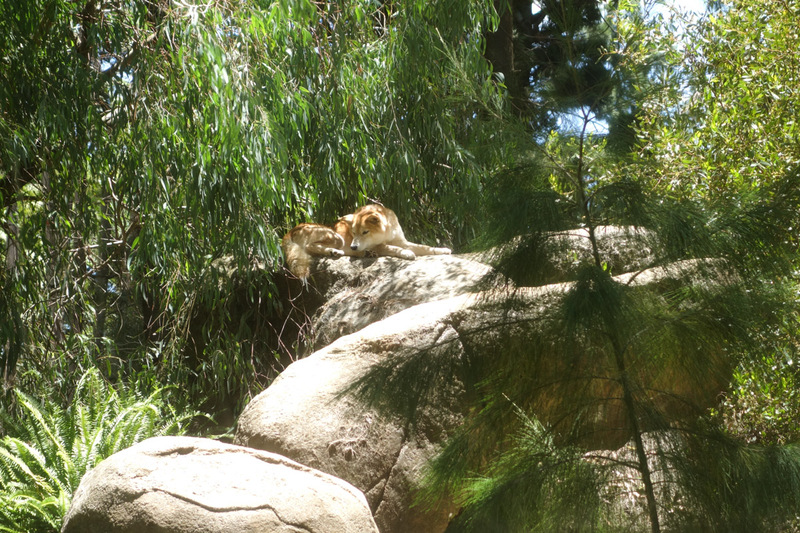 A numbat sighting at Perth Zoo! 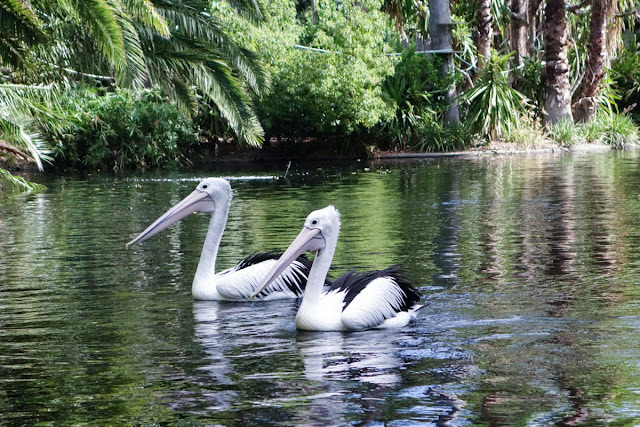 One of my goals in recent times is to get out there and experience more of Perth while I'm here. So late last year we kicked things off with a visit to Rottnest Island, an absolute stunner of a destination, and I'm currently trying to compile a list of places we can check out in 2017. Feel free to add your suggestions in the comments section! 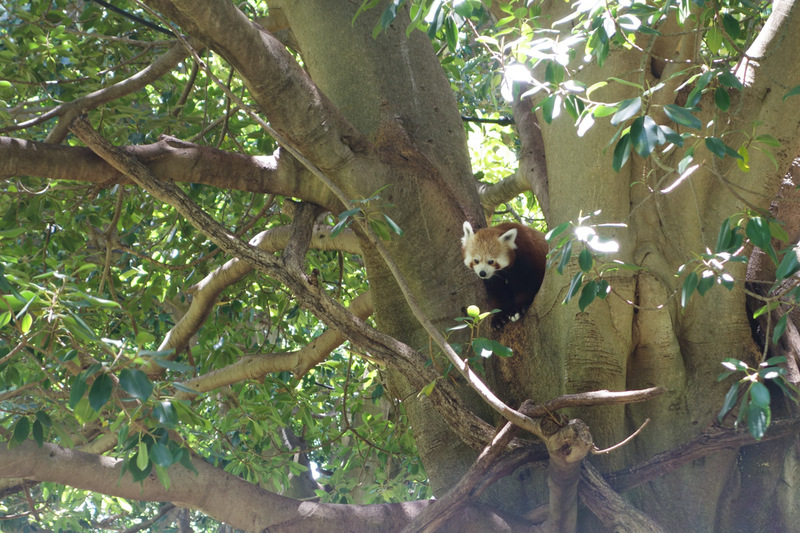 Anyway, yeah, the list is still a work in progress, but we're making do with what we've got, and Perth Zoo was our first outing for this year. 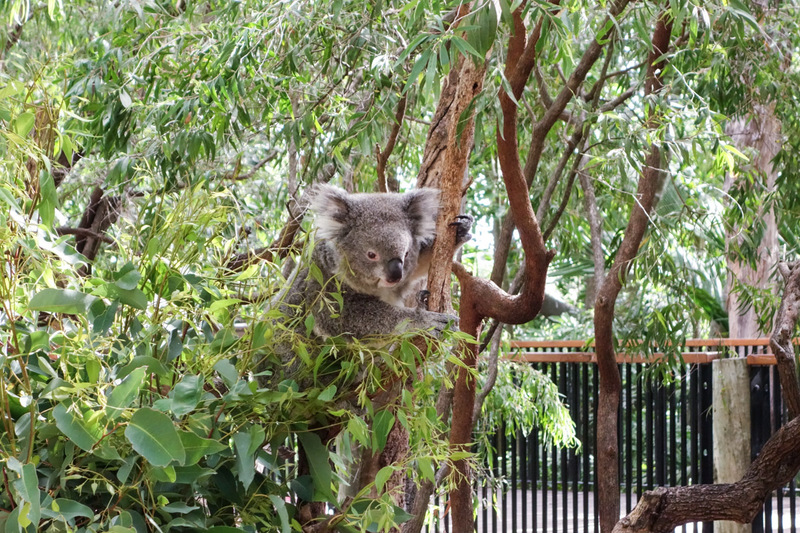 The entry tickets were $29 per adult, and we made the most of it - I think we ended up spending over four hours just leisurely sauntering around. 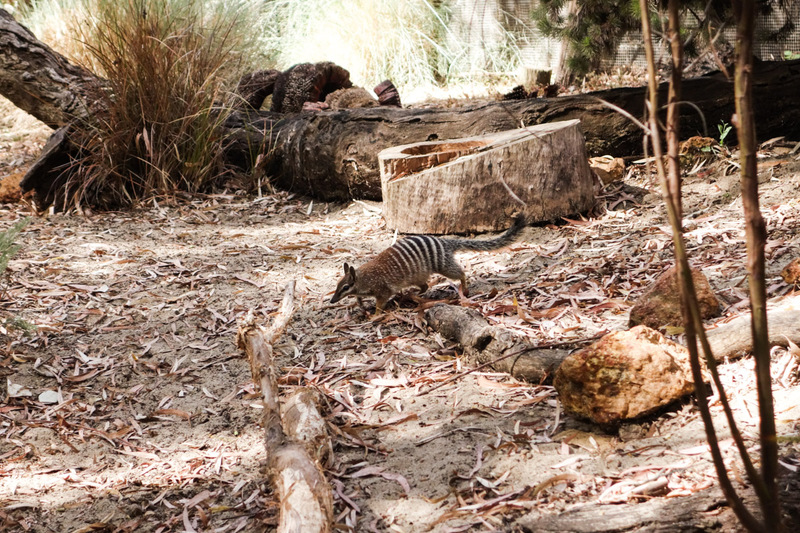 The main attraction at Perth Zoo, for me, is the elusive numbat - the charming marsupial anteater that is also, unfortunately, an endangered species at this point in time, and is almost exclusively found in Western Australia these days. When we stopped at the exhibit late in the morning, we saw nary a numbat, and I feared that I would leave the zoo in abject disappointment. 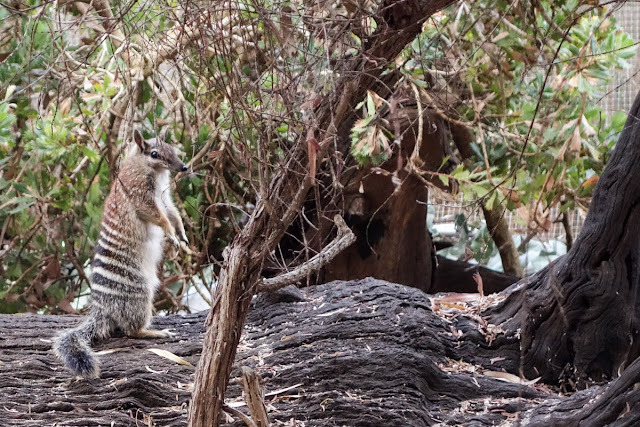 Obviously, not being one to give up so easily, I insisted that we swing by again later in the afternoon, and lo and behold - a lone numbat was scurrying around, as cute as anything, and I declared our Perth Zoo trip a delightful success: mission accomplished! 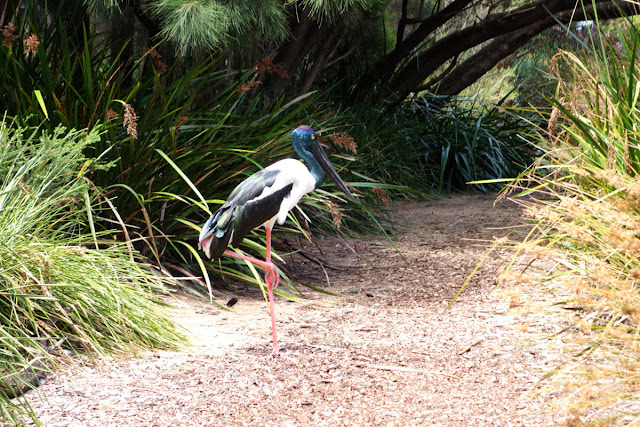 My verdict on Perth Zoo? 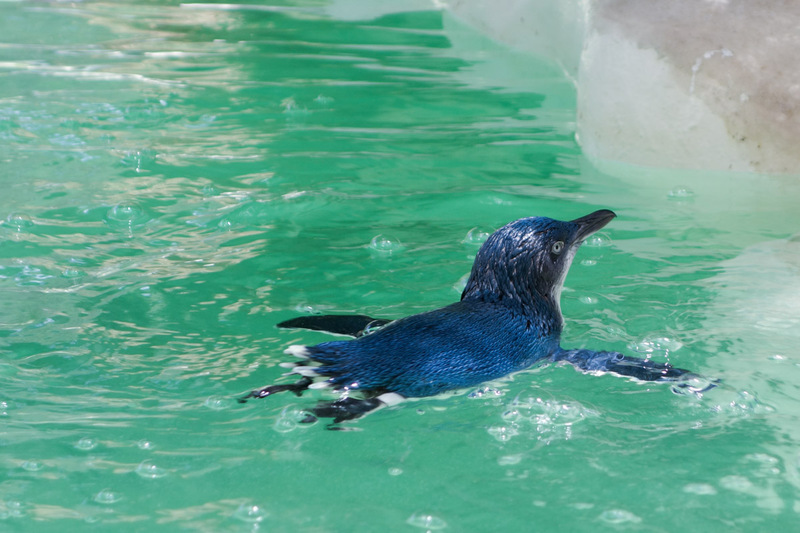 I would say that it's not just a great place for a family outing, but also a fun and interesting venue for a date with your partner - Simon and I had a very nice time, and we were glad that we gave it a go. A black-necked stork in a perfect pose. A sweet little tammar wallaby foraging at Perth Zoo. 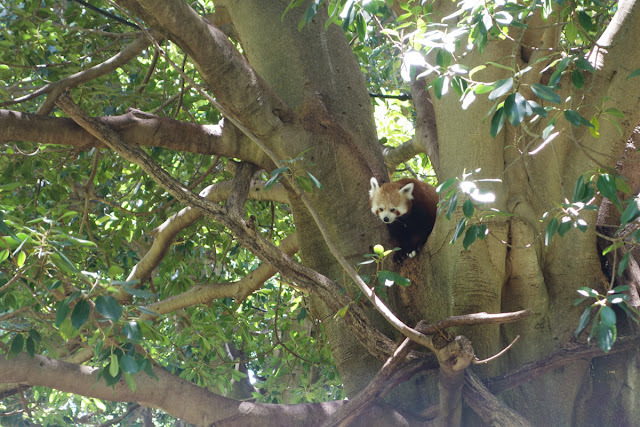 A red panda peeks out from a tree. 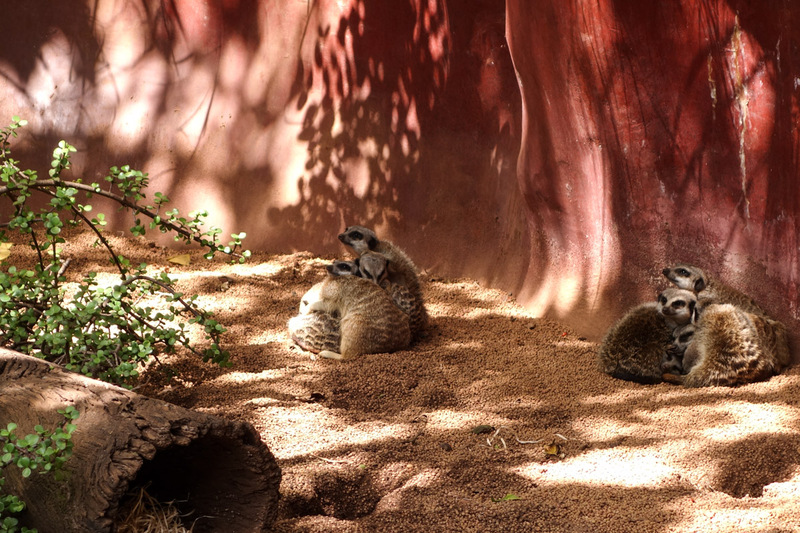 Meerkats huddled up in adorable bundles! 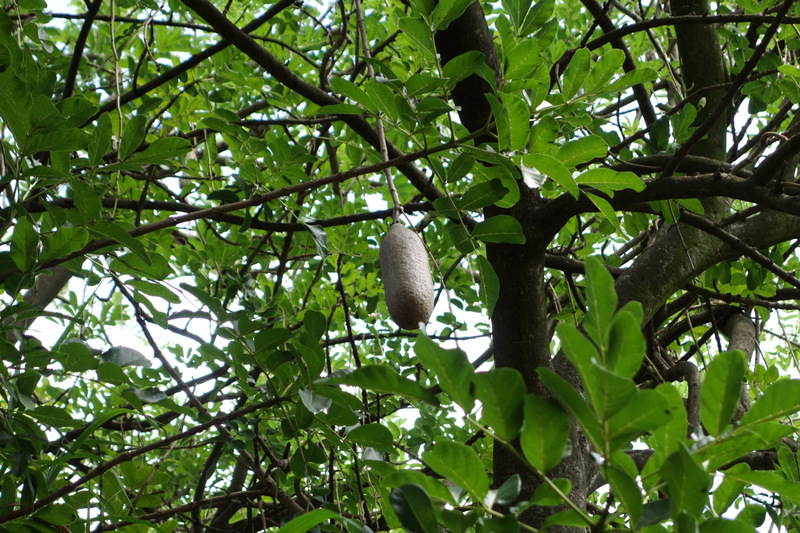 And there is also the intriguing African sausage tree. 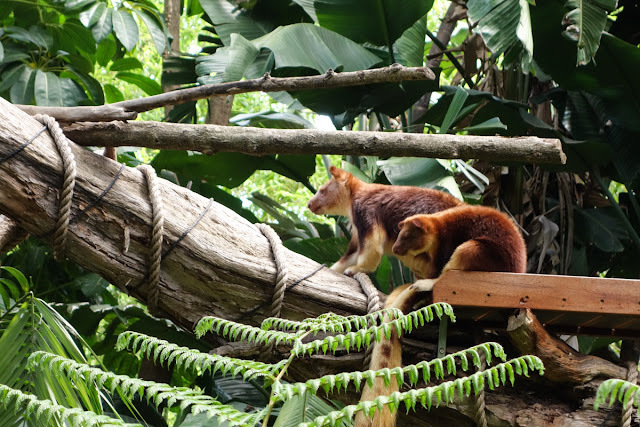 Tree kangaroos at Perth Zoo. A numbat standing on its hind legs. Isn't it the cutest? Koala hanging out on a tree at Perth Zoo. Australian pelicans cruising across the water. Well done! 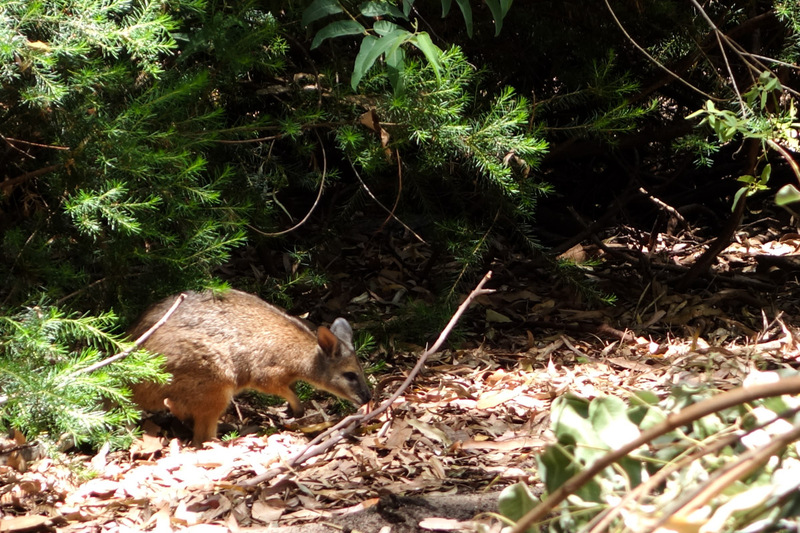 I have never seen a numbat at the zoo.